If you are a fan of anime, then you have come to the right place. Every month, tons of new series are released. Though, there are only a handful of them that ends up gaining a loyal fan following. This year is no such exception as we have witnessed the release of numerous anime franchises already. To make things easier for you, we have handpicked the best and latest anime series that every fan out there should watch. Without much ado, let’s commence our handpicked list of the best and the latest free anime series that you should be watching right now. It is undoubtedly one of the most underrated series. The story is about two girls (Mari and Shirase) and how they decided to go on an expedition to Antarctica. Mari realizes that she was not living her life to the best while Shirase wanted to find her missing mother in Antarctica. Together, they take this amazing journey that has tons of twists and unexpected surprises. This sci-fi anime TV series has maintained to get a lot of traction in no time. It takes place in the future when robots (Franxx) are responsible for protecting human fortresses. Hiro, who is the lead, can’t find a partner to work on his robot. All of this changes when he meets a mysterious girl. The series has a futuristic and dystopian appeal that you will certainly love. Inuyashiki is a must-watch anime for all the superhero fans out there. The story is about an old man, Inuyashiki Ichiro, and Hiro who is a young teenager. They both undergo an accident which swaps their bodies with futuristic machines. Inuyahiki gets overwhelmed with his powers and decides to help the people around him. What leads ahead is an unforgettable story of a superhero in the making. This is a Netflix original anime series, which was released in late 2017. It is a sub-franchise of the “Fate” series, which already has tons of anime fans. The anime is filled with action and will keep you hooked for sure. It is based on the Fate series when a holy grain appears unexpectedly. Seven mages around the world have to fight it by summoning a historic hero. This anime new series is unexpectedly entertaining and will certainly be your new favorite. It is the story of a teenage girl (Yuzu), who moves to a different city when her mother remarries. She finds it hard to adjust to her new all-girls school and develops a love-hate relationship with her stepsister. After the Rain is a mature anime show that will give you all the feels. It is the story of Akira, who wanted to be a professional runner. Though, after an unexpected injury, her career takes a back seat and she starts working as a waiter. Gradually, she started developing feelings for her 45 years old manager. While the story might put you off, you should give it a watch with an open perspective. 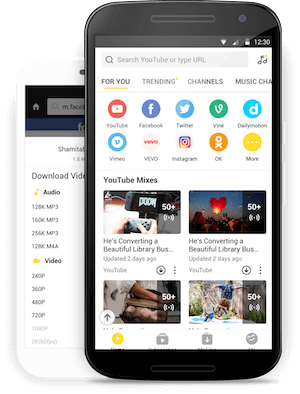 If you are a cricket buff, then you should definitely download Snaptube is a freely available Android app that has integrated a wide range of streaming and entertainment platforms together. You can simply watch all kinds of anime series on your device without the need of investing your time or money. Say goodbye to the hassle of looking for your favorite shows on various apps. Simply download Snaptube and watch the full episodes of various anime latest series. It has an advanced video player that will let you multitask while streaming anime shows. The app has a fast loading player that supports HD videos as well. Needless to say, it is an essential Android app that all the anime lovers should have on their smartphones. This latest anime series have a unique story and has been executed flawlessly. The story follows the life of Nadeshiko, who decides to visit Mount Fiji on her own. Though, her journey takes an unexpected turn and she finds herself in a camp with strangers. She tries to find her way back home and makes new friends along the way. 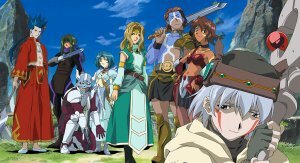 Netflix has lined up several anime series recently and this is certainly one of the best among the lot. This supernatural drama is based on the 1972 series of the same name. Our heroes (Akira and Ryo) fight against demons to save the world. The series has been highly acclaimed for its avant-garde theme. Yes, you have read it right. The classic Cardcaptor Sakura series is back with a bang. You might already know about the Cardcaptor series. It is the story of a school girl Sakura, who releases magical cards by opening a mysterious book. In the Clear Card series, she discovers that all the cards have been cleared out of the blue. The anime show is adapted from the Clamp Cardcaptor series and is a must-watch for every Sakura fan. The Ancient Magus’ Bride is quite a unique anime series that has been released recently. It is the story of Chise, who is an apprentice to the sorcerer Elias. While Chise is pretty beautiful, Elias has a scary appearance. Inspired by The Beauty and The Beast, the series has a perfect touch of both romance and magic that will keep you hooked. If you like shows related to artificial intelligence, then this anime series would be a treat for you. It is the story of an AI doll, Violet. After being used to fight a war for humans, she tries to start her life again by working in a postal service. The show has a deeper meaning to it and will certainly touch your heart. It was released in January 2018. One of the best anime series of the latest time, it is the story of a boy who gets kidnapped by a cult. Juri, who is her sister, has been asked to pay the ransom. As Juri tries to free her brother, she discovers that her family has secret powers. Her grandma teaches her how to stop time by using special rocks. Though, she later realizes that she is not the only one with this power and she needs to fight several demons to get a happy ending.